In these last days, the devil is doing what he has always done; but he has ramped it up one hundred fold. What does he do? He lies and confuses and takes the Word of God and twists it just a bit in order to deceive people. He has millions of people across the globe believing that if they just do random acts of kindness; if they just give enough to charities, if they just affirm the LGBQT movement and abortion, etc etc – then surely God will bring them to heaven when they die. The Word of God has made it clear to us that God does NOT affirm homosexuality or abortion (murder). He does love the person but will NEVER give His blessings to these sins. These people only read the Beatitudes of Jesus. They insist on seeing Him only as Love, and indeed God IS Love. But He is also Righteous, Just and Holy. God the Father cannot be in the presence of sin. Yet He wishes none to perish. I remember saying to an unsaved member of my family that we all are sinners. The rage which came out of this person’s mouth was shocking. She said to me “I am NOT a sinner!” And she demanded that I stop talking about “religion.” She had no idea that I was not referring to “religion at all. Religion is man’s attempt to reach God. Christianity is when God reached down to save whomever would repent and place their trust in Him for the forgiveness of their sins. “Not by works of righteousness which we have done, but according to His mercy He saved us, through the washing of regeneration and renewing of the Holy Spirit, whom He poured out on us abundantly through Jesus Christ our Savior, that having been justified by His grace we should become heirs according to the hope of eternal life” (Titus 3:5-7). Are you one who is trusting in “yourself” to get to heaven when you die? Friend, I am telling you what the Bible says about this – not my own opinion – God’s own words. “But I say to you that whoever looks at a woman to lust for her has already committed adultery with her in his heart” (Matthew 5:28). Do you see that Jesus was telling us that even a bad thought is as if we had committed the sin? Who among us never has bad thoughts? If we are honest with ourselves, and come to the place of repentance, and finally understand that there is no good within us; then we are closer to understanding the Gospel of Jesus Christ. These are the standards of God. We miss the mark – we cannot keep every commandment, especially when we realize that our thoughts are as deeds to the Lord. God knew that it was impossible for us to be perfect within ourselves. But He in His love for us knew that there was only one thing to do. He sent his only begotten Son, Jesus Christ, to earth wrapped in human flesh. Why did He send Jesus? There was one main reason why God chose to send His Son to earth: That was to die on the Cross. He was the perfect Lamb of God who takes away the sins of the world. Those who heard this message had two choices. One – to ignore it. Two – to believe it and to confess that they are a sinner in need of a Savior, who is Jesus Christ. Why is Jesus the Perfect Lamb of God? Because he IS God! He is God the Son. He was the final sacrifice for sin. Father God in His desire to reconcile us to Himself, sent us what was most precious to Him – His only Begotten Son. Can you imagine what the Father felt as He saw His Son bleeding, suffering, dying and taking all the sin of the whole world onto Himself to bring men and women into a relationship with Him? It was the Mercy of God to send His Son for us. I know that is hard to wrap your mind around – but it is truth. His resurrection after his death was proof that this was God the Son. 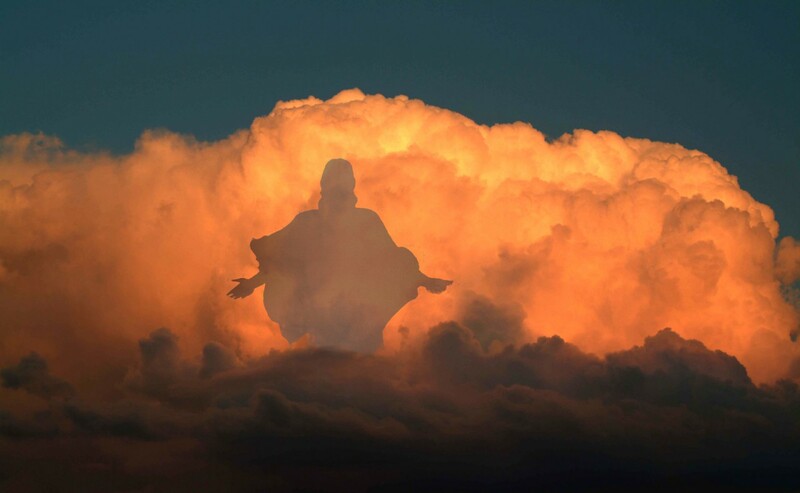 After appearing to his followers, He ascended to heaven and sat down at the right hand of His Father. The prayer of my heart is that people who are caught up in the Social Justice (false) gospel, will have their eyes opened by the Lord. I pray that they will understand that there is nothing we can do in our own strength to make us acceptable to be in God’s presence in heaven. Good and kind deeds naturally come from a redeemed heart. This is evidence of being born again (saved). Father God, I come to You today knowing that I am a sinner. I understand that the only way to be right with You is through Your Son Jesus Christ. I repent of my sins and realize that I need a Savior – Jesus Christ – to save me from my sins. I ask that Jesus come into my heart and make me a new creation – the person who I was created to be. I thank you Father and I love you. I pray this in the name of Jesus. Amen. Hi Geri the Social Justice conversation we are talking about is ironic for me because before I was Born again years ago the Mormon Glenn Beck talked about Social Justice but really it’s something we as the Church need to expose and warn others about. Did you see the Social Justice and the Gospel Statement that came out? No, I didn’t see that. Do you have a link? I signed it because Social Justice is a threat to the Gospel. Yeah, Jews for Jesus is a good ministry. They’re in your face with tracts, provoking reactions. Passionate indeed they are…. So, Brian- you don’t care for Jews for Jesus? Souls. We’re have been watching a series of sermons by John McArthur on the subject of social justice , most revealing and to the point as you make very clear here. I care very much for them! I don’t directly support them. I do pray for their success bringing home the lost sheep of israel. Therefore I am not opposed to them either. They use a different style of witnessing then I do. Next fall I plan on visiting their Tel-Aviv branch.Sadly I never personally met Moishe Rosen. He definitely had passion for reaching his people and it lives on in J4J to this day! There are many good Jewish evangelism ministries to support out there. Can’t support them all. One for Israel. They are VERY Effective. I’ll visit them next fall for sure!